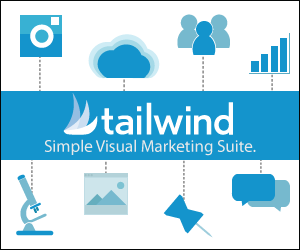 Over the last month, I’ve taken a deep dive into the world of visualization. I’ve grown fascinated with the Law of Attraction, and I strive to surround myself with thoughts, affirmations, and images that fill me with excitement and motivation. I’ve always been a strong believer in the power of writing down goals. There’s something about the physical act of recording your intentions on paper that turns your “someday dreams” into something that is real, tangible, and achievable. 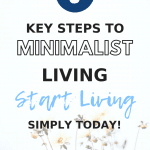 Over these last 4-5 weeks, I’ve discovered that visualizing my intentions – actually picturing my ideal life – has strengthened this shift from dream to reality even further. What is visualization, you ask? 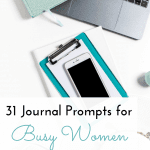 Now, there are many different ways to approach this idea, from visualizing these events in your mind to recording your thoughts in your journal. But my absolute favorite approach is through creating a vision board. A vision board is, as it sounds, a board where you depict your ideal life through image, quotations, powerful affirmations, etc. What’s more, it’s the perfect place to express these values and goals creatively. 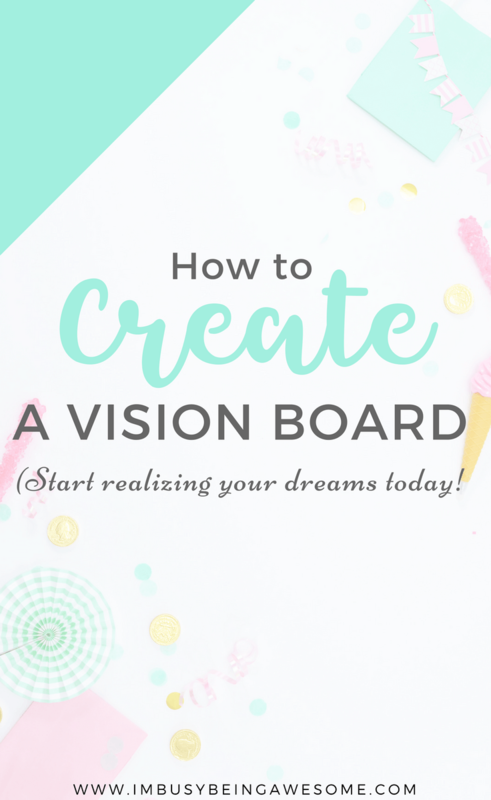 There are many different ways to create a vision board. Some people use thick poster board, some prefer bulletin boards, while others use whiteboards. The material you use isn’t really important. What is important is filling that space with your goals, dreams, desires, and plans. So before we dive into the supplies and discuss how to actually create a vision board, let’s first identify our intentions. Take some time to brainstorm what you want in life. Don’t hold back here. In fact, I suggest doing a free write for at least 10 minutes. Spill all of your dreams, ideas, and goals onto a piece of paper, and get it all out. Don’t overthink it. Avoid going back to erase or edit anything. Just write. When do I feel the most like ME? 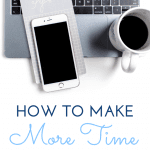 What activities make me completely lose track of time, because I’m so absorbed in the task? Who lifts me up and makes me feel like the best version of myself? If I woke up tomorrow with all the time in the world and all the money in the bank, what would I do with my time? What are 5 things, big or small, that bring me joy? What goals do I want to accomplish, and why? I can’t stress enough the importance of really getting to the heart of these questions. In order to create a vision board that speaks directly to your dreams and desires, you need to be honest with yourself. Don’t write down what others expect of you, or what you “should” want. Write down what you want. Okay, you’ve identified your intentions, and you know what you want in your life. Now it’s time to get crafty. This might be thick foam board, a whiteboard, a bulletin board etc. I personally have this bulletin board/white board combo. I love being able to change up my vision board as I move through different stages in my life; by using pushpins and magnets, I am able to do this easily. If you want to get really fancy, you can even hang a picture light over the top of your board, which really puts a spotlight on your goals. (Be sure to measure carefully, as the size of a picture light makes a big difference). You will go through the magazines and catalogues to find images for your board. You can similarly do image searches on Google or Pinterest and print them out. 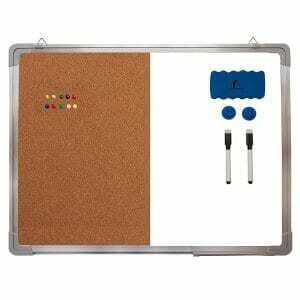 These are for writing messages, words, and quotes on your board. I’m a fan of Sharpies for writing inspiring quotes and words on my images and whiteboard markers for obvious reasons ;-). Tape, Glue, Pushpins, and/or Magnets. What you use will vary depending on your board material. Because I have a bulletin board whiteboard combo, I use a lot of pushpins and magnets. If you’re using poster board, however, you might prefer glue sticks, double sided tape, etc. This is great for placing behind images to make them stand out. Go through your magazines and catalogues and find any images, words, or phrases that inspire you. Look for things that remind you of your list of intentions you made earlier. Cut out anything that speaks to you, and don’t worry about where you’ll put it just yet. Just pull out anything that catches your eye. The way you arrange your board is completely up to you. One option is to divide it into four quadrants with each section representing a different part of your life: health, relationships, work, personal. You might also divide the board into two sections of inspiring quotes and images. Alternatively, you could simply design your board as one giant collage-of-awesome all blended together. Whatever way you choose, the important thing is to design the board in a way that clearly conveys your ideal life. Fill it with images, quotations, and inspiring words. Doodle pictures or arrows that point to key messages. Add bright colors, if that’s your thing. 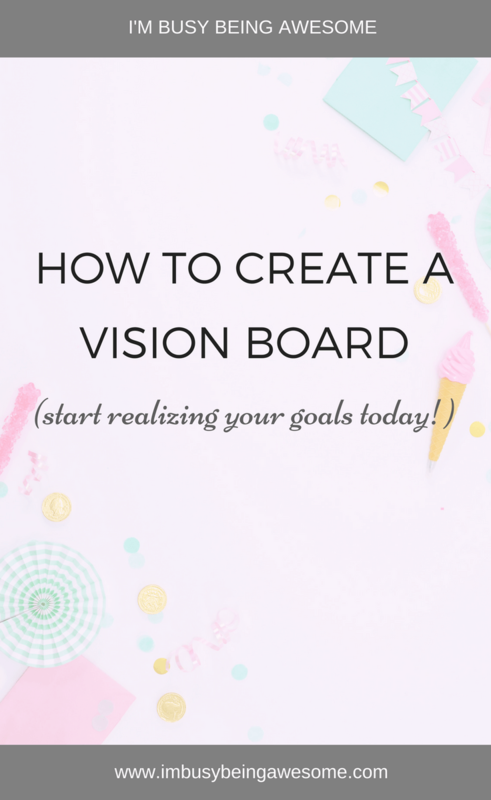 In other words, make this vision board a clear representation of what YOU want. Hang your vision board in a place that you look at every day. I hung mine in my office, since I’m in there for the majority of my day. But you might find it helpful to hang your board near your mirror in your bathroom. That way, you can look at it as you get ready each morning. Maybe you prefer to hang it on the wall in the kitchen, so you remind yourself of your visions every night as you prepare dinner. Simply put, think about where you spend the most time. This is where you need to hang your board. Once it’s up, look at it often. Be intentional and get to work. 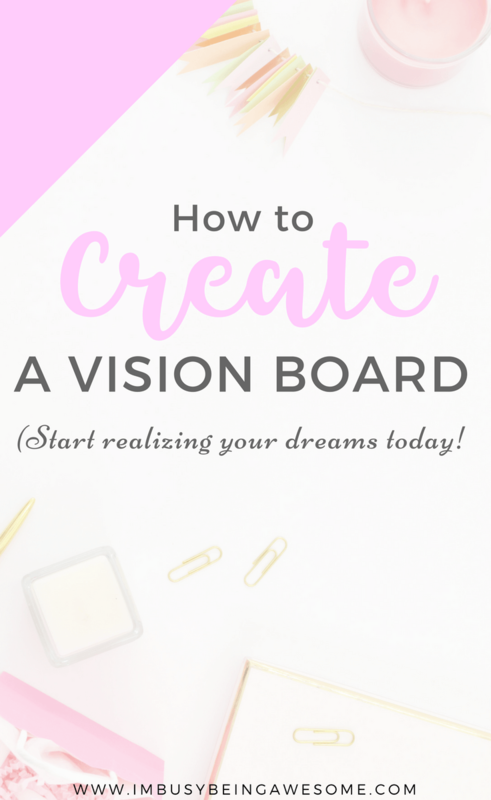 It’s not enough to simply create a vision board. You must also be intentional about working toward your goals. Then, as you start checking your accomplishments off the list, (and believe me, you will!) don’t forget to update your board with new intentions! (This is why I love using a whiteboard or bulletin board; it’s easy to change). Remember, keep pursuing the things that excite you, as enthusiasm for life is a key to happiness. Do what you love. And that’s how you create a vision board, my friends! So go grab your supplies and get started! To help provide you with a boost of inspiration, I’ve created a FREE PDF of 30 printable images, each with a motivating quotation. Get the collection here, find the ones that speak to you, and add them to you board today! 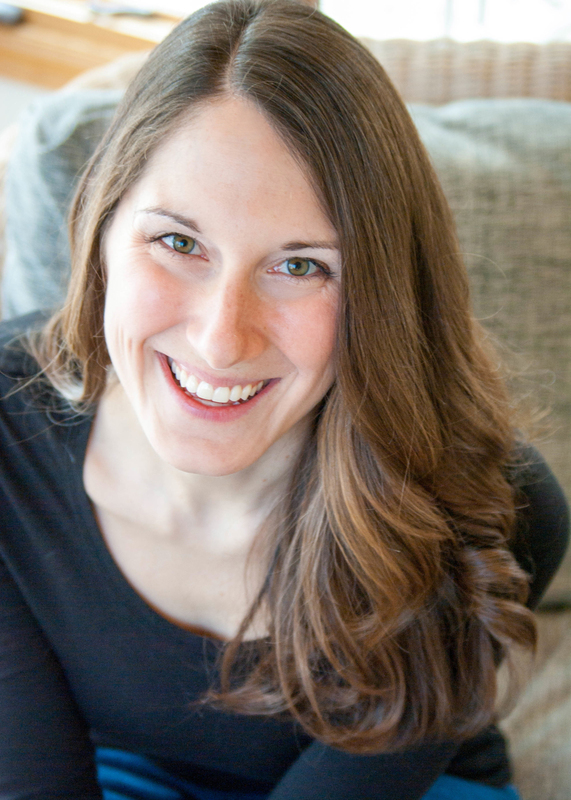 Have you ever heard of the Law of Attraction? 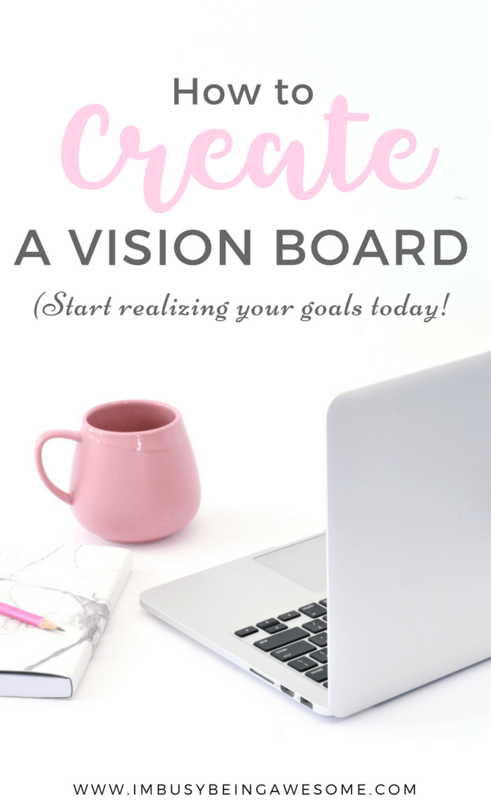 What will you add when you create a vision board? What goals or intentions are you working toward this year? Let me know below! I haven’t done a vision board before and I like the questions you asked about things like intention. Now to put it to action. Thank you. That’s a fantastic idea, Yolanda! I love the idea of on-the-go inspiration 🙂 Thanks for the suggestion! Hey Paula! I love vision boards and basically anything that keeps us focused and fixed on our goals and visions. We’ll always manifest in our lives what we focus on the most. Too often we focus on the things that aren’t working and what needs to change. Instead we need to focus on what we desire to be and how we can take practical steps to get there. Great post! I love this idea! I often feel like I have so many creative ideas floating around in my head, but I don’t get them down on paper before they slip my mind. Pinning to refer back to later as I make a vision board! I’ve been a fan of vision boards for years. They work! They’ve been a successful tool to get me to where I am today. Definite believer! Thanks for the post! This looks like a great thing to try. I have been trying to get more crafty and artsy, so this is definitely a way to get started! This is exactly what I need to get my creative juices flowing again! I used to love making mood boards in school, thanks for the idea! I have long thought about making an actual vision board, but have never actually done it. Thanks for the inspiration! Give it a try, Emily! It’s so fun 🙂 And it really is a great motivator to work toward your goals. I love creating vision boards. 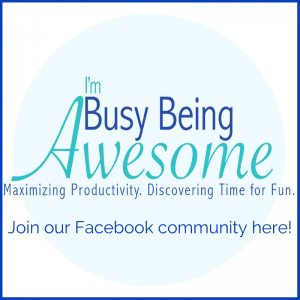 And when I am on the go – pinterest! Yeah! Pinterest is a great option for on-the-go. Great tip! I feel like I need one for my blogging goals for sure to put on the wall of my office! So inspiring! Hooray! I’m so glad to hear it 🙂 Let me know how it goes!